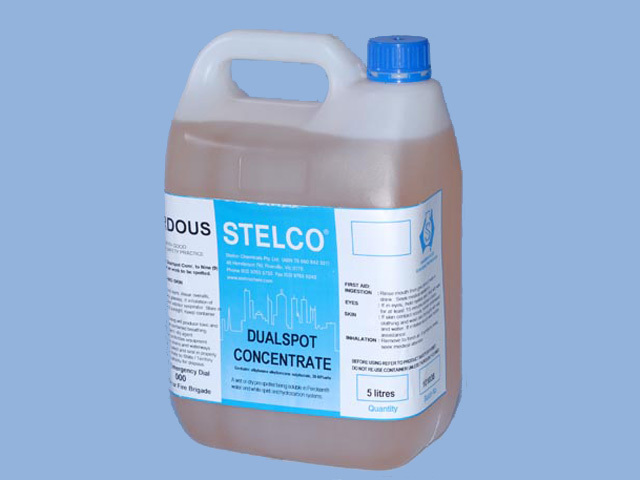 This product provides the spotting department with a chemical of unique versatility and effective performance over a wide range of stains. 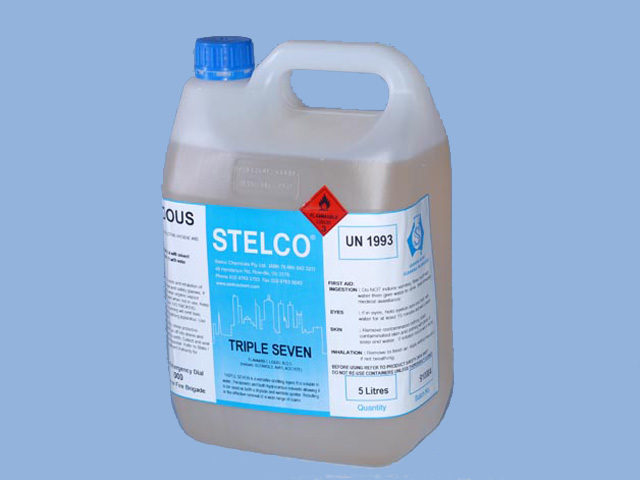 It is soluble in water, Perclean or Hydrocarbon. When made up with water it provides a product suitable for hand application, which will remove normal water-­‐soluble stains such as food, drink and perspiration, together with the prompt removal of more difficult water soluble such as Coca‐Cola® and Fanta®. 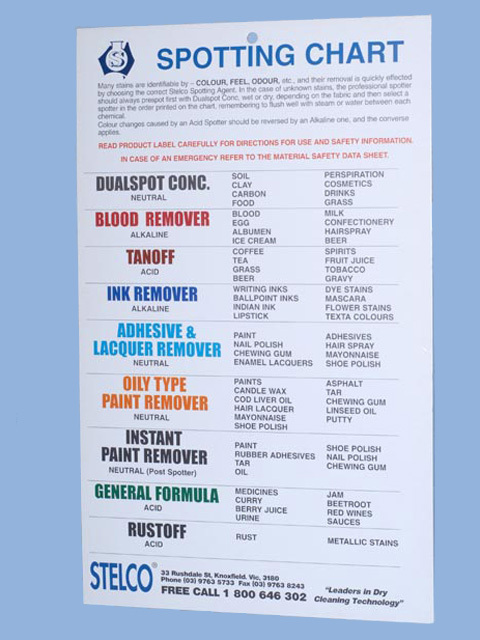 When made up with solvent, it provides a dry spotter highly effective on solvent soluble stains such as tar, asphalt, lipstick and boot polish. The safety aspect of Triple Seven in the hands of less experienced spotting staff should make this product invaluable to many plants.